Tripura University will take a proactive role to bring gender budgeting at grassroots level for true empowerment of women. Gender budgeting, one of the most important components for budget provisions has always been there. But it has been felt that the need of the hour is to incorporate it in the system by implementing at the grassroots level, like that of panchayat, felt the speakers at a workshop on Gender Budgeting and Women Empowerment in Rural Areas organized by the Centre for Rural Studies of the varsity. 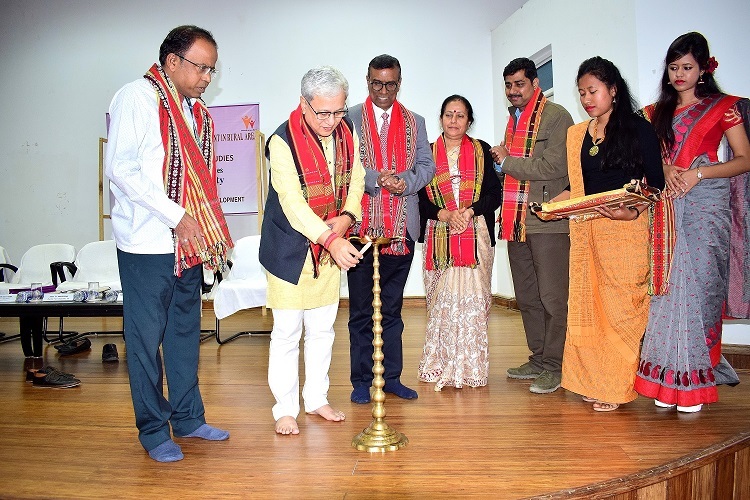 The programme was inaugurated on Thursday by Jishnu Deb Barma, deputy chief minister and minister for F]finance, rural development, etc, government of Tripura. He has emphasized that women empowerment should start from one’s heart. Sensitization is the need of the hour. Prof V L Dharurkar, vice chancellor of Tripura University said, women empowerment was given priority in India since ancient time. the present government is also implementing numbers of programmes. Tripura University will be the first University to implement Gender Budgeting concept in the University system. Chandrasekhar Ghosh, MD, Bandhan Bank emphasized that Economic empowerment is the key and important for other components of women empowerment. Women empowerment concept should be practiced from the family itself. Women should be encouraged in decision-making process. Prof Chandrika Basu Majumder, director of Women Studies Centre, TU emphasized that for women empowerment, men should be sensitized. Jayanta Choudhury, coordinator, Centre for Rural Studies, informed that four numbers of state-level workshops will be conducted for government officials, elected representatives, NGOs, research scholars from all eight districts of Tripura. He emphasized that the objective of the workshop is to percolate gender budgeting and women empowerment issues at grassroots level. Further, it was mentioned that practitioners and eminent academicians within Tripura University and other Universities across the country and from Bangladesh will share their views in those four workshops.